Testing is important. Your test suite should be just as elegant and thought through as your application code. Over the past year, I’ve landed on what I think is the perfect combination of gems for testing Rails/Ruby applications. With the recent Github security vulnerability, a lot of people have been paying closer attention to security in their Rails applications, mainly when dealing with mass assignment. Here’s a quick and dirty guide to get OAuth2 authentication working for Active Admin using the Salesforce strategy. I’d like to introduce you to a little pet project I’ve been working on in my spare time; Metaforce. Metaforce is a Ruby gem that abstracts the Salesforce Metadata API, which is a Soap based API for CRUD’ing metadata on Salesforce organizations. rbenv is a tool for managing ruby versions. It’s similar to RVM but doesn’t require configuration files. Instead of using gemsets, the user is expected to make use of bundler to manage gem dependencies. I despise Eclipse and the Force.com IDE; it’s an extremely bloated piece of software. Thanks to Eclim, it’s possible to take advantage of the good parts of Eclipse but use VIM to edit apex classes, visualforce pages, etc. I came across a very frustrating issue while writing uTorrent Notifier; the fact that the default context menu/main menu controls look absolutely hideous. They use the Office 2007 look and feel and I think I speak for most people when I say that Office 2007 was not exactly the holy grail of good design. 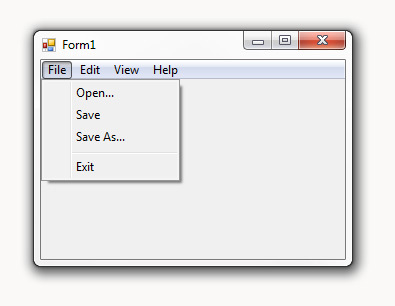 However, the Windows Vista/7 context menu’s look very sleek. UPDATE: The Ardunio Focuser was just featured in the October issue of Astronomy Now magazine in the UK. Read about it on page 76-77!